On July 29th (originally scheduled for the 29th April), Mike Pritchard (Enterprise Account Executive at MakerBot) demonstrated 3D printing, spoke about how Innovation Centers are transforming education, shared how 3D printing turbocharges rapid prototyping, and answered questions. 3D Printing is the process of creating a solid object from a digital model. With the right equipment and designs, you can print virtually anything. 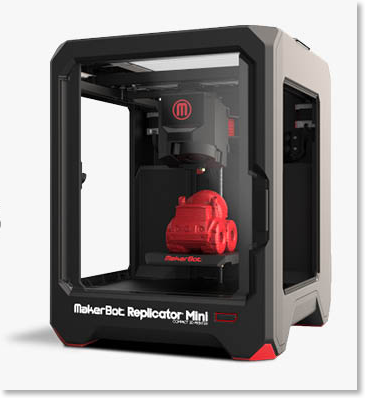 The technology has been around since the 1980s, but in recent years the price of a 3D printer has dropped dramatically. Consumer units can be purchased for as little as $3,000. These printers are affordable, personal fabrication tools, compact enough to sit on any desktop, and can allow anyone at any skill level to become producers, inventors and artists. 3D printers, in an academic setting, could allow students to participate in project-based learning that is experiential in nature with real-world applications. 3D printing engages students in the world around them, kindles a curiosity about how machines work, how objects fit together, and how the designers, architects, and inventors who build the products, spaces and technology in their lives have found solutions to a variety of design problems. Mike shared photo he took at the University of Illinois MakerLab. The MakerLab is part of the business school, but also services many different departments. 3D Printer from Business Technology Center on Vimeo. 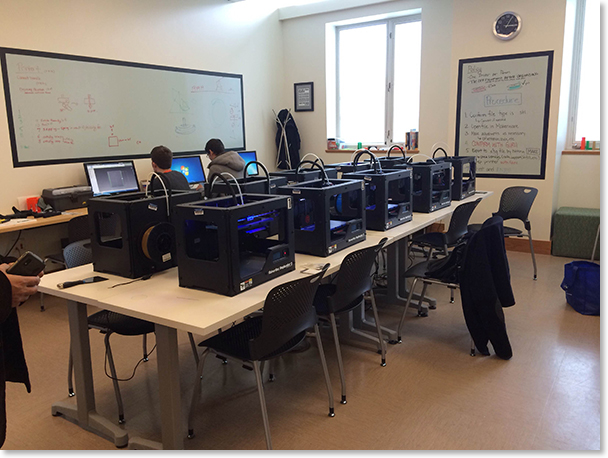 DePaul already has one 3D printer in the College of Business. This was purchased by the Center for Creativity and Innovation (CCI) and housed in the Department of Management. You can read more about the development here.